The UF Department of Surgery celebrated it’s 11th Research Day on Wednesday, April 15. S1P receptors modulate hematopoietic progenitor cell mobilization following trauma/hemorrhagic shock. Primary Mentor: Scott Berceli, M.D. Monocyte gene expression and its relationship to lower extremity vein graft outcome. 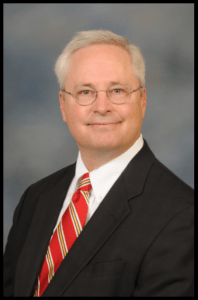 Dr. Richard H. Turnage is Executive Associate Dean for Clinical Sciences and Chair of the Department of Surgery in the College of Medicine at the University of Arkansas for Medical Sciences. He is currently serving as Interim Dean of the college through mid-July 2015 and will remain on hiatus from his post as Chair of Surgery through the end of the year to focus on a new, additional position as Chief Service Line Officer for UAMS Medical Center. Dr. Turnage was recruited to UAMS as Professor and Chair of Surgery in 2008. He has accepted several additional leadership roles, including Interim Chair of the Department of Urology in 2010-2012 and Interim Chair of the Department of Radiology in 2012-2014. As Chair of the Hospital Medical Board in 2012-2014, Dr. Turnage facilitated a heightened focus on improving quality, patient- and family-centered care, and patient satisfaction. As Chief Service Line Officer since February 2015, Dr. Turnage is leading the development and implementation of integrated patient-care service lines at UAMS. He began serving as Interim Dean of the College of Medicine on April 1. Dr. Turnage has led clinical and academic surgical programs for the past two decades. From 1996 to 2001 he served as Chief of the Surgical Service of the Dallas VA Medical Center and Vice Chairman of the Department of Surgery at the University of Texas Southwestern School of Medicine. Dr. Turnage was Chair of the Department of Surgery at the Louisiana State University (LSU) Health Sciences Center in Shreveport from 2001 to 2008. Among other leadership positions, Dr. Turnage served as Chairman of the Council of VA Chiefs of Surgery. He helped to develop Louisiana’s statewide trauma system and the American College of Surgeons-verified Level 1 trauma center at LSU. A general surgeon, Dr. Turnage’s clinical interests have focused on acute gastrointestinal conditions such as intestinal obstruction and acute gastrointestinal hemorrhage. He has published more than 100 peer-reviewed manuscripts and textbook chapters on a variety of clinical and basic science topics. His laboratory work in microvascular function during acute inflammation has been funded by the American Heart Association, the Department of Veterans Affairs and the National Institutes of Health. Dr. Turnage has been active in undergraduate and graduate medical education, receiving numerous teaching awards. He has also been active in interprofessional education, serving as a Commissioner for the Accreditation Review Commission for Physician Assistants, a Director for the National Commission for the Certification of Physicians Assistants, and Medical Director of the Physician Assistant training programs at LSU and UAMS.